Kentucky and South Carolina are similar in some ways. Both are southern states, us more so than they. They like to be culturally southern when it is convenient. We tend to be militantly southern when inconvenient. At least that’s what the state chamber of commerce thinks. We occupy about the same number of square miles though we weren’t annexed out of Virginia like some poor geographic relation as they were. Our population numbers are close. Our industries are similar. They assemble Corvettes and Toyotas. We assemble BMWs and Boeing jets. We can play better college basketball when we feel like it. They have a Derby. We have Darlington. We also have Charleston while they settle for a city named after Louie somebody. I think he was a Bourbon. Have I mentioned that we play better college basketball? We also have a better funded state pension system, though that’s not saying much. Their pension system is 31% funded which means they owe their retirees $43.4 billion more than is currently in their trust fund. Our pension system is 53.8% funded. We owe our retirees $24.1 billion more than is in our trust fund. They are ranked as having the 2nd worst unfunded liability in the country. We are ranked 8th worst. New Jersey is ranked 1st. These numbers are through 2016 and were compiled by Bloomberg. The 2017 investment returns might improve the numbers slightly after the actuaries issue their annual valuation reports but you will still need to rub Vicks Salve under your nose to read them. Our state politics also mirror. They have a Republican controlled General Assembly. We have a Republican controlled General Assembly. They have a Republican governor. We have a Republican governor. You get the drift. Now here’s where we differ. Kentucky’s legislative session kicked off about the same time as ours did this year. While our primary focus has been reforming our public utility regulations because of the SCANA/Santee Cooper nuclear plant debacle, Kentucky legislators are finishing up a pension reform bill that will attempt to reduce the $43.4 billion unfunded liability owed to their retired state employees. Not to be outdone by the General Assembly, Gov. Matt Blevins in his budget proposal last week called for Kentucky to fully fund the annual contribution owed to the pension system each year for the next two years. That totals $3.3 billion. Retired teachers in Kentucky are voicing their unhappiness to Blevins as the state waits on the General Assembly to introduce the final pension bill. 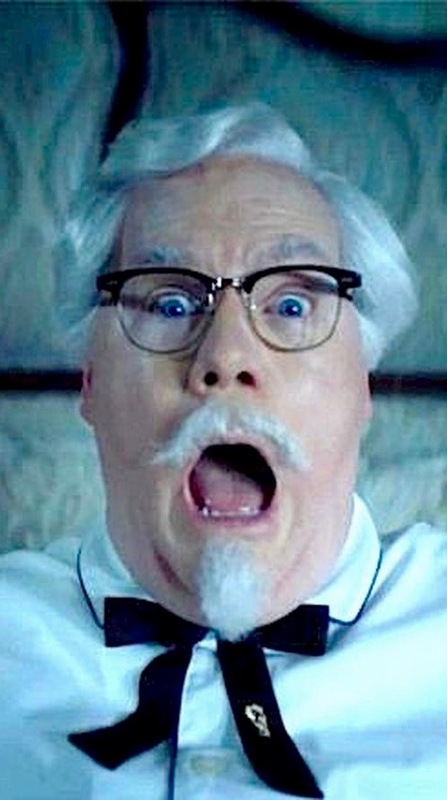 Who knows if Kentucky legislators have found the Colonel’s secret recipe to restore their pension funds without a huge budget cut, a huge tax hike or a huge rip-off of state employee accrued benefits. We shall see. What separates them from us is that they are trying to solve their pension problem at the beginning of the session. Being ahead of us on the worst unfunded liability list puts them one market correction closer to having a massive long term economic and budgetary headache when the market corrects. Republicans like to say that their states are open for business. It is hard to be open for business after your bond rating goes down and your notoriety goes up. Kentucky realizes this. They also realize that time grows short for the next major market correction. Investment advice should not be inferred from any of my above comments – only common sense.